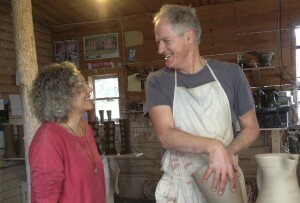 In 1983 they moved to Pittsboro NC and set up their pottery. Mark built a very large wood kiln and began making the distinctive functional pots for which he is known, specializing in very large planters and jars, along with finely made smaller items. He uses local clays and blends the different North Carolinian folk traditions together into a contemporary style that has attracted a sizeable following. Mark’s work has been featured in numerous publications including the Smithsonian magazine, the cover of American Craft magazine, and he has written extensively in the ceramic press. Mark has exhibited in London, New York, and Tokyo, as well as throughout the US. He is well-represented in a museum and private collections. Mark and Nancy Sweezy co-curated the highly-regarded exhibition, “The Potter’s Eye: Art and Tradition in North Carolina Pottery,” at the North Carolina Museum of Art, Raleigh, NC, October 30, 2005 – March 19, 2006. UNC Press published a superbly illustrated catalog/book. Mark and his work were featured extensively in the nationwide PBS TV series, “Craft in America,” and he recently had two major exhibitions of his big pots, the first, in 2010, at the Nasher Museum, at Duke University in Durham, NC, and the second, in 2011, at the Ogden Museum in New Orleans. Mark has received numerous awards. 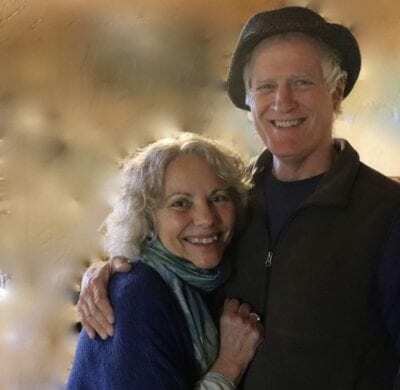 In 2013 he received the Sam Ragan Award given by St. Andrew’s University in Laurinburg, NC for contributions to the Fine Arts of North Carolina. He was awarded the 2014 Voulkos Fellowship by the Archie Bray Foundation in Helena, MT for outstanding contributions to the ceramic arts. Twice, in both 2013 and 2014, he won Best In Show at the North Carolina Botanical Garden ‘Sculpture in the Garden’ exhibition. Mark was one of five finalists for the 2015 American Craft Council’s, “Balvenie Rare Craft Award,”receiving both a cash award and a trip to NYC to luncheon with Anthony Bourdain. Pucker Gallery on Newbury Street, Boston, MA, held a major exhibition of Mark’s work titled “At the Crossroads” in early 2015, another exhibition in 2016, and again in 2018. They continue to carry a selection of Mark’s work for sale in their gallery. Mark is past President of the Board of Directors at the North Carolina Pottery Center in Seagrove, NC, and has been a member of the board since 2005.